Ware, Evan and David Olds. "Yves Daoust". The Canadian Encyclopedia, 22 July 2014, Historica Canada. https://www.thecanadianencyclopedia.ca/en/article/yves-daoust-emc. Accessed 21 April 2019. Daoust, Yves. Composer, teacher, b Longueuil, near Montreal 10 Apr 1946. Daoust began studies in piano at age seven, wrote a film soundtrack for "prepared" piano at 16, and at 19 completed his first electronic work, for a Berlin theatre. He then studied piano with Irving Heller and analysis and composition with Gilles Tremblay at the Conservatoire de musique du Québec à Montréal (1966-71), worked on music for films with Maurice Blackburn and Norman McLaren at the National Film Board (NFB) (1970-1) and completed further studies in electroacoustic composition in France, where he studied with Alain Savouret, Gilbert Amy and the Groupe de musique expérimentale de Bourges. Upon returning to Canada, Daoust worked in the sound studio of the NFB (1976-9) and in 1978 joined the staff of the Conservatoire de musique du Québec, both in Montreal and in Quebec City, to teach solfège, analysis, and (beginning in 1981) electroacoustic composition. The Société de musique contemporaine du Québec (SMCQ) commissioned Daoust for Valse (1980) and Variations sur un air d'accordéon (1987); the CBC for En hommage à Maurice Blackburn (1982, rev. 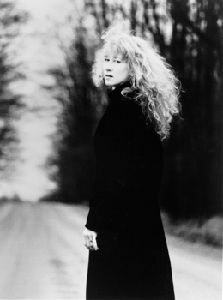 1995) and Fantaisie (1986); the Groupe de musique expérimentale de Bourges for La Gamme (1980), Il était un fois (1987) and Ouverture (1989); and Joseph Petric for L'Entrevue (1991). Daoust collaborated with Mimes Omnibus for Carnaval. His more recent works include Water Music (1991), created from sounds of melting icicles mixed with speech and children's voices; Montréal sacré (1992), a portrait of Sunday morning achieved by overlapping a recording in St Joseph's Oratory with soundscapes from different areas of Montreal recorded on several Sunday mornings; and Impromptu (1994), in which Daoust skirts postmodernism with a series of manipulations based on a MIDI recording of Chopin's Fantasie impromptu in C sharp minor (Op 66). Daoust has also collaborated with Denis Gougeon on two stage works for L'Arsenal de musique: Planète Baobab (1999) and Alice (2004). He has worked with many leading soloists, including pianists Anne Barteletti and Manuel Schweizer, flautist Lise Daoust, keyboardist Anne Gaudemer, horn player Louis-Philippe Marsolais, and harpsichordist Catherine Perrin. His Quatuor won the first prize (analog category) and the grand prize at the Concours international des musiques électroacoustiques de Bourges in 1980, and the Euphonie d'Or in the same contest in 1992. One of the pioneers of electroacoustic music in Quebec, Daoust is one of the most active composers in the field in Canada and is perhaps the senior exponent of the anecdotal (concrete/collage) approach to composition. He has been strongly influenced by cinema in his creative output, and uses material from film, stage, multimedia events, radio and concert works in his music. He describes himself as "figurative," preferring natural sounds, sound archives and musical quotations to aid his visual approach to composition. He draws extensively on sound materials from everyday life (such as children's voices, street scenes) in his electroacoustic music but is also concerned with the integration of acoustic instruments with tape. His music reflects a sense of humour and a certain nostalgia (Adagio, Fantaisie), but is also, at times, overtly political in its expression of Quebec nationalism (Ouverture). Daoust founded and runs the electroacoustic composition program at the Conservatoire de musique du Québec à Montréal. He is also an administrator for the Composers, Authors and Publishers Association of Canada, the Association pour la création et la recherche électroacoustiques du Québec (ACREQ, which he helped create in 1978 and for which he was artistic director 1983-7 and 1989-91), and the Canadian Music Council, and a broadcaster and concert organizer. He is a member of the Canadian League of Composers, a founding member of the Canadian Electroacoustic Community, and an associate of the Canadian Music Centre. Petite musique sentimentale. 1984. Piano and tape. Ms.
Adagio. 1986. Flute, tape. Ms.
L'Entrevue. 1991. Accordion, tape. Ms.